If a doctor intentionally harms a patient or tries to conceal malpractice, a judge could award punitive damages. In medical malpractice lawsuits, two main forms of damages are potentially available: compensatory damages and punitive damages. Most damages awarded to malpractice victims are compensatory damages, which pay victims for their economic and non-economic losses. Punitive damages offer additional compensation, and they are awarded to punish the defendant. Because the bar for receiving these damages is high, they are quite rare in medical malpractice cases. To qualify for punitive damages, your medical malpractice lawyer needs to prove that the doctor or healthcare provider acted maliciously, purposefully, or knew they were engaged in a wrongful act. 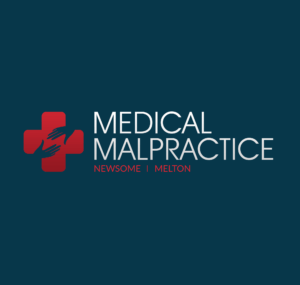 The lawyers at Medical Malpractice Help can provide more information about punitive damages and medical malpractice law. Call 855-633-2757 today. Who Pays for the Damages in a Malpractice Case? When a patient wins their medical malpractice case, the doctor or healthcare provider—or their insurer—must compensate the patient for all losses they suffered as a result of their injury. The provider is responsible for the patient’s economic losses—which are tangible costs like medical bills and lost wages—and non-economic losses—which are subjective costs like pain and suffering and loss of enjoyment of life. In most medical malpractice cases, the provider’s financial liability starts and ends with compensatory damages. However, in cases where the provider’s behavior exceeded medical negligence and constituted malicious activity, the court can award punitive damages on top of compensatory damages. The purpose of these damages is to punish the provider for their wrongful act and to serve as a disincentive for other providers to behave in a similar manner. When Are Patients Eligible to Receive Punitive Damages in Medical Malpractice Cases? To receive punitive damages, a plaintiff must convince the judge that the defendant exhibited one of the following behaviors. They Engaged in a Malicious or Intentionally Harmful Act. If the defendant set out to hurt the patient, and the patient can prove this as true, the patient can recover punitive damages. For example, if a doctor knowingly commits an error during surgery to ensure the patient has to return for additional treatment, they have acted intentionally. As this is a malicious and intentional act, the patient is eligible to receive punitive damages. They Intentionally Concealed Their Wrongful Actions From the Patient. Another possible scenario involves a doctor who commits an unintentional negligent act that causes a patient harm and then takes steps to conceal what happened. This could result in the patient delaying treatment and suffering worse harm than they would have if they had known about the issue right away. Even though the doctor did not commit an intentional act, they showed malicious intent by putting their own interests ahead of the patient’s. Their attempt to conceal the malpractice also harmed the patient’s health in the process. Call Medical Malpractice Help at 855-633-2757 to Schedule a Free Case Evaluation. The lawyers at Medical Malpractice Help can help you pursue fair compensation from a medical provider who injured you, whether intentionally or unintentionally. We can calculate a fair value for your losses and determine if you qualify for punitive damages. To schedule a free case evaluation, call our office at 855-633-2757 today.